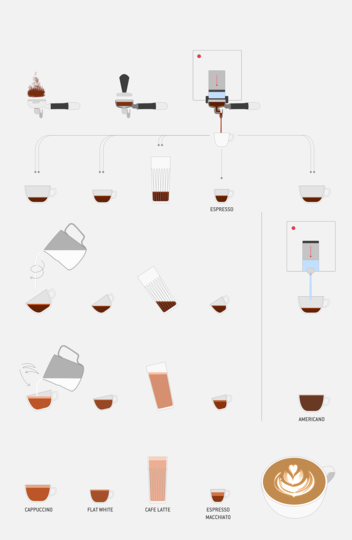 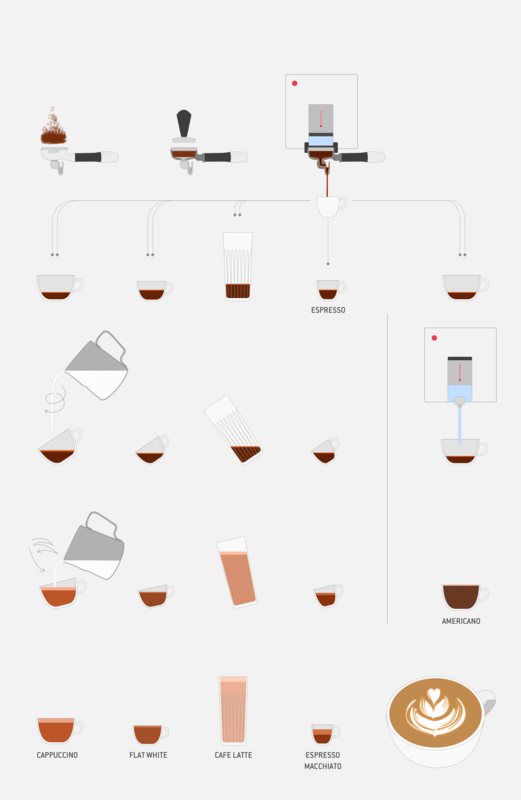 Visualization of the process of coffee making. 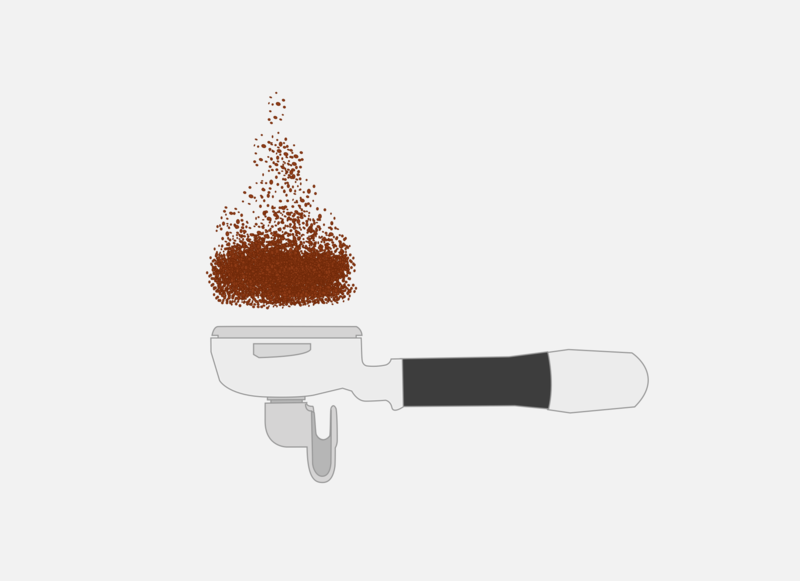 The aim was not to use words. 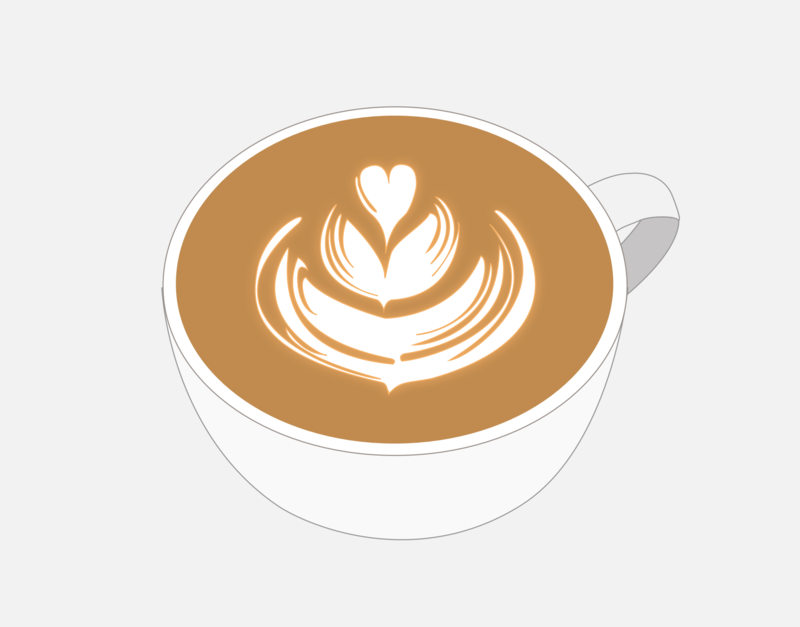 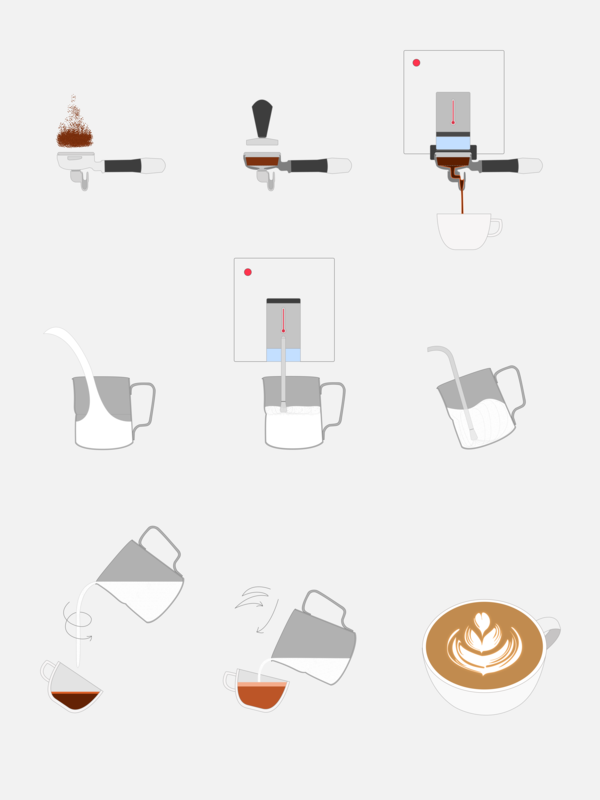 Process of making a cappuccino. Parallel processes of making an espresso, an americano, a cappuccino, a flat white, a cafe latte and an espresso macchiato.